Throwing acid from rooftop is a vicious prank unique to Hong Kong. It is a senseless act that causes chaos on the streets below. The lack of an evident motive has thwarted the Police’s attempts to solve the case. Seung spent her days washing dishes in the back ally. Her life was a black hole from which there was no escape. That was until she heard about the half-a-million-dollar reward for information leading to the apprehension of the perpetrator. To catch the acid thrower and to give herself a way out of the drudgery, she resorts to something even more heinous than the original act. The payoff is a better future for her and her family. Born in Hong Kong, Lam Suk-ching studied economic in York University, Toronto. She was a journalist and reported news on TV and radio. Then she started her career in film. She became an assistant director and has worked with world acclaimed directors such as Tsui Hark 徐克, Gordon Chan 陳嘉上 and Peter Chan 陳可辛. She has participated in various award winning films and international productions. Lam has written and directed 2 short films for RTHK, “Amy’s Choice” and “Email My Love”. She then earned her MFA degree in Hong Kong City University and studied under Patrick Tam 譚家明. Her final project is a short film “ACID”, and it has received good reviews. 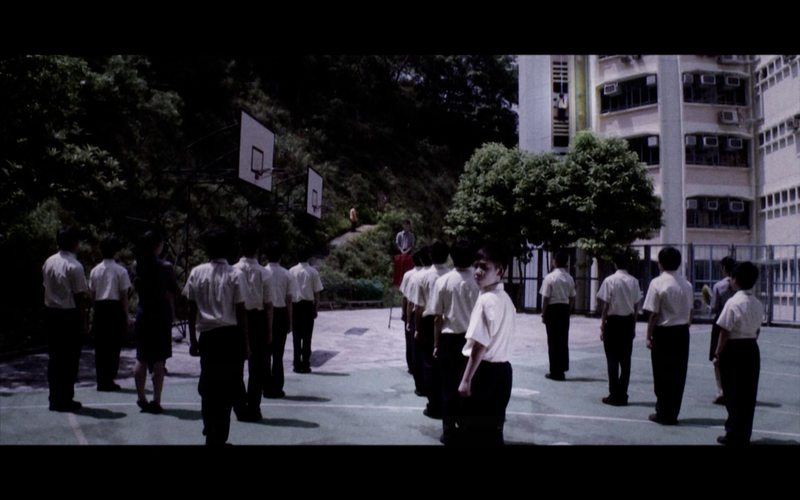 “ACID” won an award from the 2012 HKIFF International Short Film Competition. Since then she has been in pursuit of producing her own feature film. Besides films, Sharon is also passionate in literature. She is a 2 times winner of Hong Kong Youth Literature Award. Through a series of intricately composed long takes, Epilepsy exposes the robotic state of students today through the eyes of a young boy. For him, going to school simply means a continuous dose of discipline and punishment from all sides. His education simply means taking what he's given, and any dissent or deviation from the norm is discouraged with force. Even when a girl begins to inspire change in him, will he be able to face a strange, new world that is so different from the one he knows? Burial rites become the mise-en-scène in which politicians, the media, a monk and an infuriated neighbour vividly portray the aftermath of a car accident. 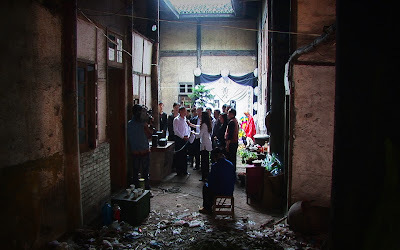 According to director Ying Liang, five years before the shooting of this film, “I was among the witnesses of a traffic accident. In Chinese, ‘monument’ and ‘sadness’ have the same pronunciation. I'd like to use this short film to serve as a small monument.” After stills from media reports of the accident, Condolences becomes a singular, one-shot take of wonderful cinematic empathy and beauty. The limited resources are nonetheless enough to evocatively convey Ying Liang's distinctive style and heartfelt preoccupations. Born in 1977 in Shanghai, graduated from the Department of Directing at the Chongqing Film Academy and Beijing Normal University. He started to film experimental shorts in 1999. His works include “Taking Father Home” (2005), “The Other Half” (2006), “Good Cats” (2007) and “When Night Falls” (2012). 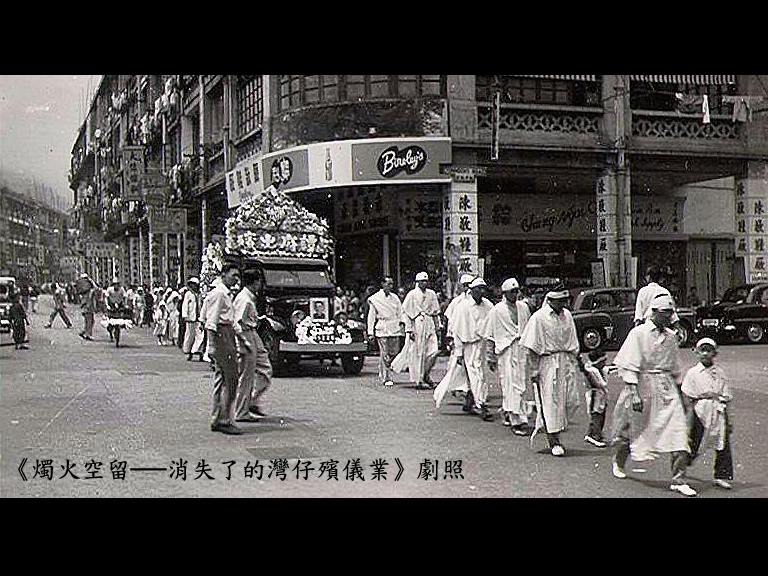 The funeral industry once flourished in Wanchai. But the funeral and related industries have disappeared completely now. We are going to follow the footprints of old neighbors to look into the past funeral industry in multiple perspectives. Starting from the community, they show us about the missing pieces of history in the film, on reflecting how the community changes and taboos of Chinese about death. A Photographer and video cameraman who participated various photography exhibition, independent movie and video production, with works can be seen from different media. Most works are documentaries related to social issues. Besides, he also writes review about art and cultures, participates social and cultural activities. ‘Fading Flame-The Disappearance of Funeral Industry in Wanchai’ is a documentary film with old photos and valuable interview with neighbors from the community to discover the missing pieces in local history.